Trainer Mick Price has called for a review of the use of Regumate in Victoria. 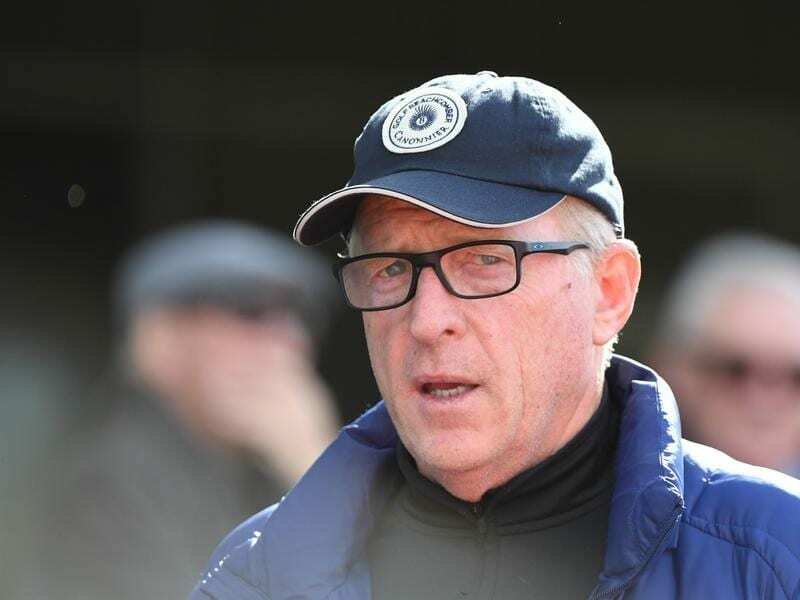 Victorian trainer Mick Price has called on the state’s racing authorities to revisit the use of Regumate in mares saying the alternatives are not satisfactory. The Price-trained Pedrena was a late scratching from the Summoned Stakes at Sandown on Saturday after misbehaving in the barriers, something the trainer said was becoming more frequent with mares. Altrenogest, marketed as Regumate, has been found to contain traceable levels of the banned steroids trenbolone and trendione. Racing NSW has introduced a local rule to deal with “inconsequential” levels of the substances while Racing Victoria has instead said the injectable product Progesterone should be used. “I spoke to a very experienced person behind the barriers and I asked if he’d noticed any deterioration in the behaviour of these mares of late and he said definitely,” Price told RSN 927 on Sunday. “Someone will get hurt. You’ve got 500kg mares getting in barriers and misbehaving. “I don’t know if the people that make these decisions watch or have to pick up the pieces after these mares smash themselves around but it’s an absolutely stupid decision. Price said he planned to contact RV chairman Brian Kruger and integrity boss Jamie Stier on Monday to re-open the discussion. “Progesterone is not the answer. It’s too short-acting and not effective enough,” he said. Fellow trainer Nigel Blackiston echoed Price’s concerns on Twitter. I first contacted RV vet team via email on 27 Jun, asking if RNSW approach was being considered. Alerted my owners to my concerns soon after. It’s worrying we are still in limbo re Altrenogest. FYI, it’s a global issue, including UK with BHA issuing warnings on Regumate also” he said.